We make it possible for dads in prison to show their love for their children. We'll record them reading a picture book and send the book & recording to their child. We aim to connect dads in prison with their families to encourage rehabilitation; help their relationship as fathers to their children; and, stimulate their children's literacy skills at the same time. We assist with the dads reading abilities as 40% of prisoners are functionally illiterate. We provide the children with a recording of their dad reading them a book. Both the recording and a copy of the book itself are sent to the child who can listen to their parent's voice whilst reading or looking at their book. 'It's hard to explain the feeling I get out of it when I know that at night, I'm the last voice he hears before he goes to bed'. We started this program as a one off to celebrate the International Year of Reading in 2012 but it was so well received by the prison, the dads, and especially the kids - we've kept it going. Friends of Castlemaine Library (FOCAL) was begun in 1995 to provide support the Castlemaine Library through fund raising and supporting all aspects of the Library’s services. 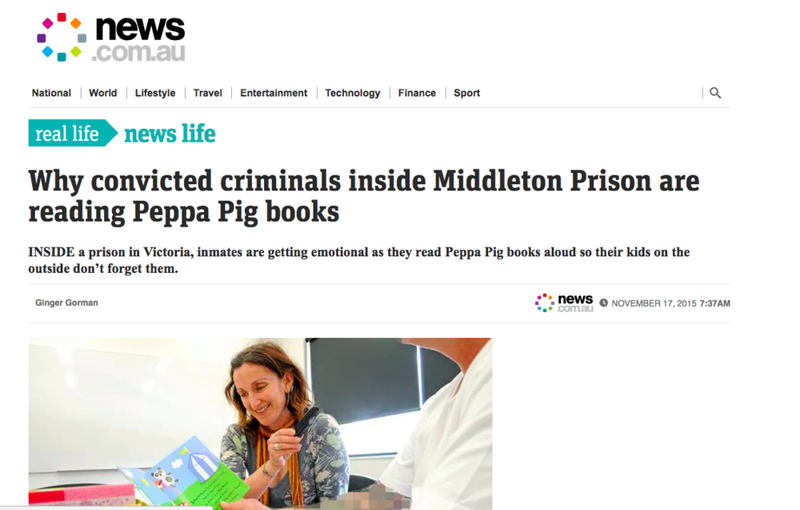 In the last ten years we have developed a number of literacy programs for the local community including ‘Books for Babies’, ‘School Outreach’ and the prison program of which ‘Read-Along Dads’ is the core. It does get to be emotional. It can bring tears to your eyes because you think of the effect that it’s going to have on them when they hear it. I’ve always loved reading to my kids and have seen the benefit they get - and that’s why I’m delighted that our Fund supports the Read Along Dads program.